The Nevada real estate industry has guidelines concerning how those who sell their homes are required to ensure that the home is clean and sanitized when the new inhabitants move in. However, most people generally don’t feel like a property is truly clean until they themselves have cleaned it. If you’ve just moved into a new home, you might feel overwhelmed with the amount of cleaning that you feel like you have to do. On the bright side, at least there isn’t any furniture or decor in your way as of yet. If you want to get your new home clean so that you can begin moving in, then follow this guide on how to properly clean a new house. The two most important areas to focus on are the kitchen and the bathrooms. While bedrooms should certainly be cleaned, they’re not as likely to be home to bacteria as a kitchen or a bathroom is. When cleaning a kitchen or a bathroom, you want to use cleaning products that contain an antimicrobial agent. For many people, this will mean that you use bleach to clean. When working with bleach, be sure to open windows and ensure that the area is properly ventilated while you work. If you’re opposed to using bleach, any commercial antibacterial spray cleanser will work just fine. Sometimes cleaning something means replacing it altogether. For example, whenever you move into a new home, it’s best to purchase new toilet seats. Even if the old ones look clean, it’s ideal to purchase brand new ones. This can also go for window treatments and blinds, which can collect a lot of dust and germs. When you’re cleaning in the kitchen, don’t just focus on the sink and the counters. Be sure to scrub microwaves and ovens thoroughly to ensure that any bacteria or buildup of grease and food is eliminated. In the bathroom, let sinks, tubs and toilets soak with a strong cleaning agent for a few hours to really kill off any germs that may linger there. There’s no point in shampooing a carpet that you know you’re planning on ripping up and getting rid of in the next few weeks. To save time and energy, skip anything that you know is about to undergo a major renovation. Don’t bother washing walls that you know you’ll be painting soon. 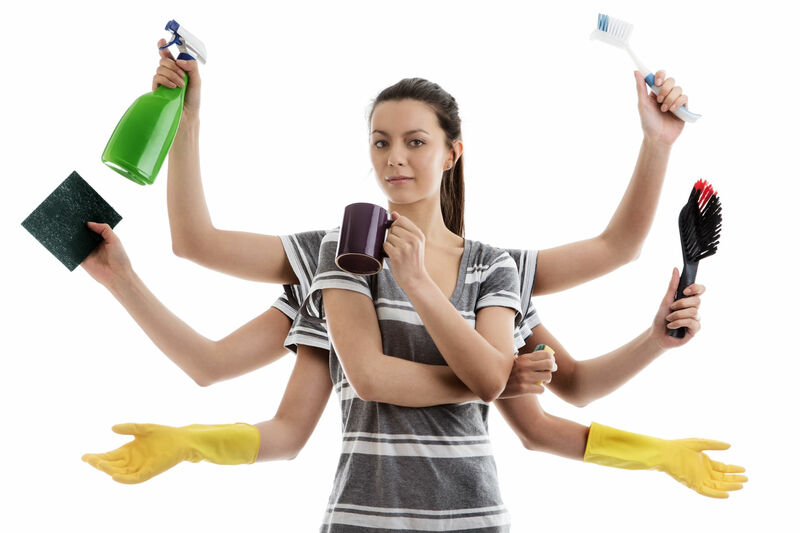 When we’re cleaning our homes, we can tend to be a little lazy. After all, things don’t feel quite so unsanitary when it’s “our” mess. However, when you’re cleaning and sanitizing a home that somebody else has been living in, it’s important that you really put some elbow grease and effort into it. Take time to really ensure that everything is clean and don’t be afraid to get into those little corners that you usually might neglect. Having to clean an entire house can be a bit daunting. This is why it’s a good idea to enlist the help of friends and family. Working with a group helps to get the task completed in just half of the time it would take you to do it on your own. If you follow this guide, you can get your new home sparkling clean and ready for habitation.